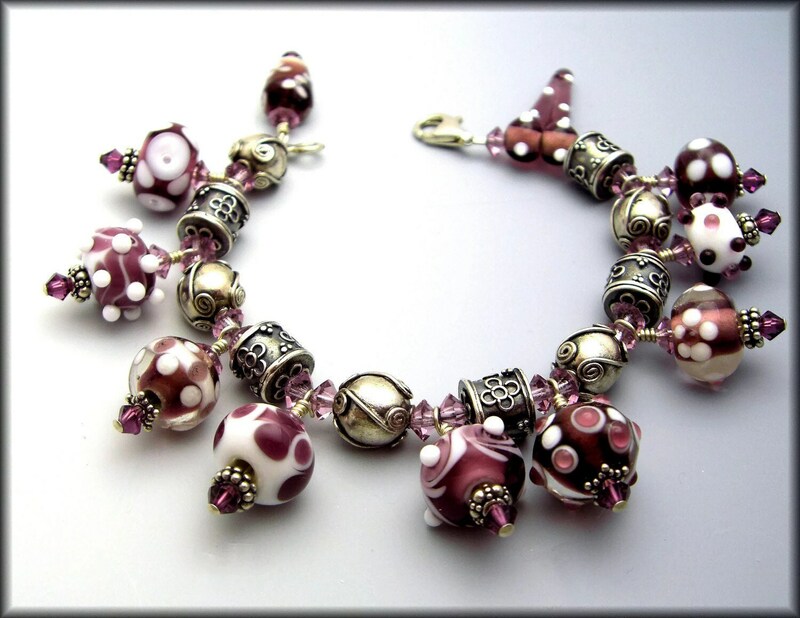 Sugar Plum - This bracelet features a variety of Lampwork beads in plum, purple and white, Swarovski Crystals and an abundance of artisan Sterling Silver beads and fastens with a Sterling Silver lobster clasp for security. It measures 8 Inches in length. 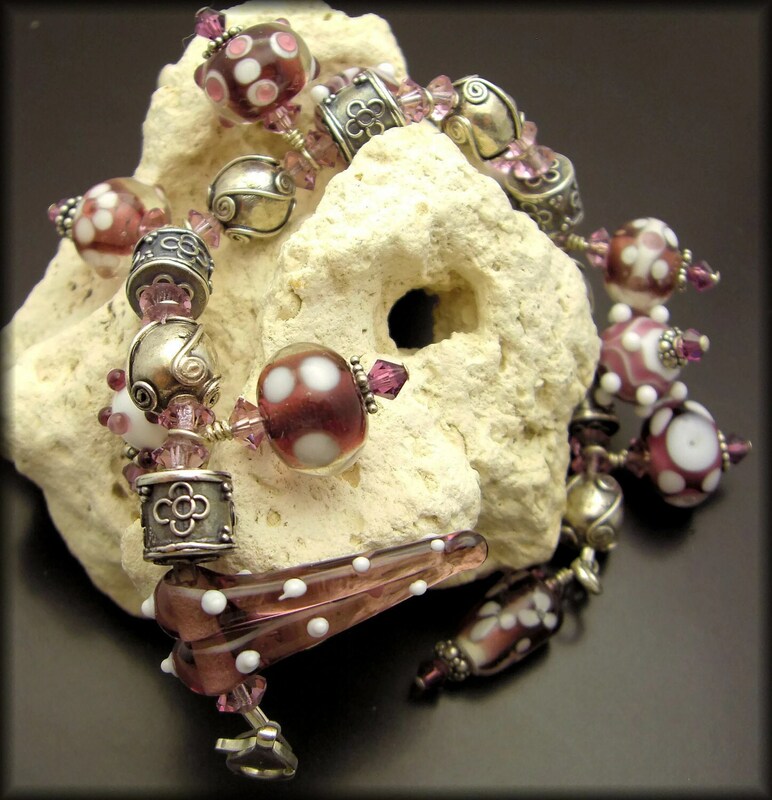 All Lampwork is annulled for strength and endurance. 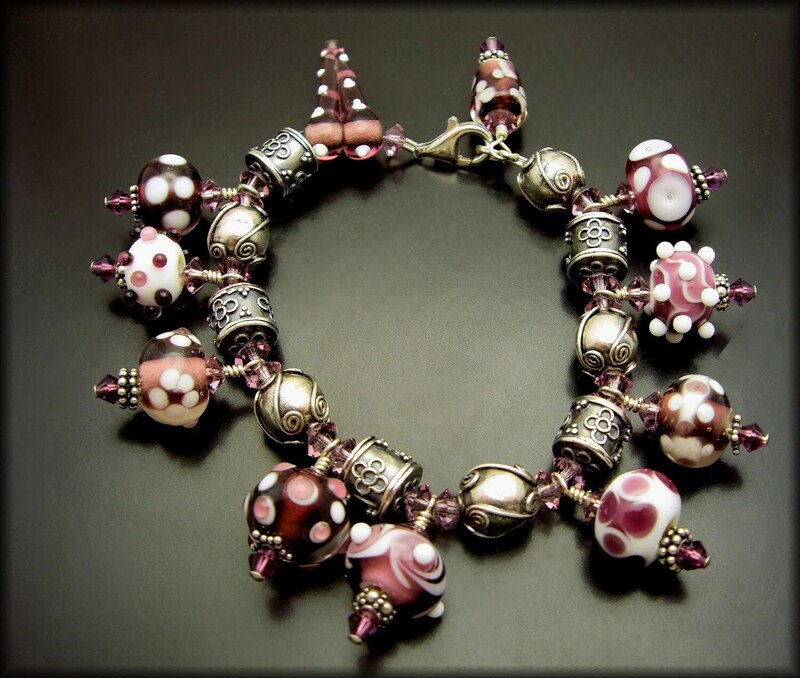 This bracelet is A real showstopper!